We were driving back from a rehearsal at one of the township schools north of Cape Town when we passed this and just had to get a photograph, had to pose for our petit hômmage to the Maestro from the opposite side of the Atlantic. I don’t think for a moment that Dr. Abreu’s achievement, in its scope, scale or sheer inspirational quality, will ever be equaled anywhere, but if (and that’s a large if) someone were to give him a run for the money in the category of “sheer audacity of vision” it would have to be Shirley Apthorp, Director of the Cape Festival. Shirley is a highly distinguished journalist, a contributor to the Financial Times, Bloomberg, and Musical America. I’d call that her day job, but that would imply her commitment to Cape Festival is an evening-and-weekends affair. Suffice to say that during the festival she compressed her European print commitments to the hours between 2 and 6am, because Cape Festival was a hugely ambitious, demanding undertaking. 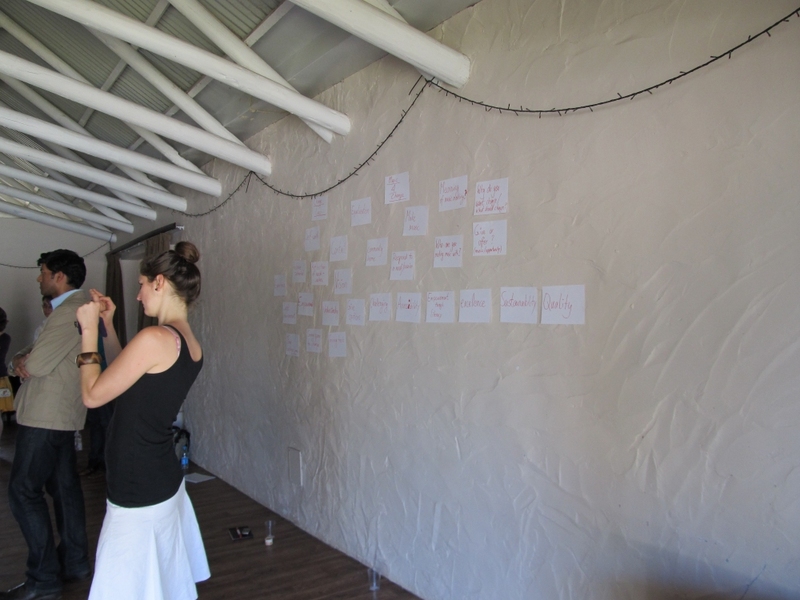 The event united three strategic objectives: coordinating international musician exchanges; developing collaborative opportunities for musicians of all background and disciplines within South Africa and beyond; and generating genuine social change through the first two. As for the audacity of the vision, Shirley and the Cape Festival Team decided to the best way to accomplish these goals was through a production of an opera. (Lesser men might have balked at such an undertaking, which is probably why the administrative staff for the festival was almost entirely female.) 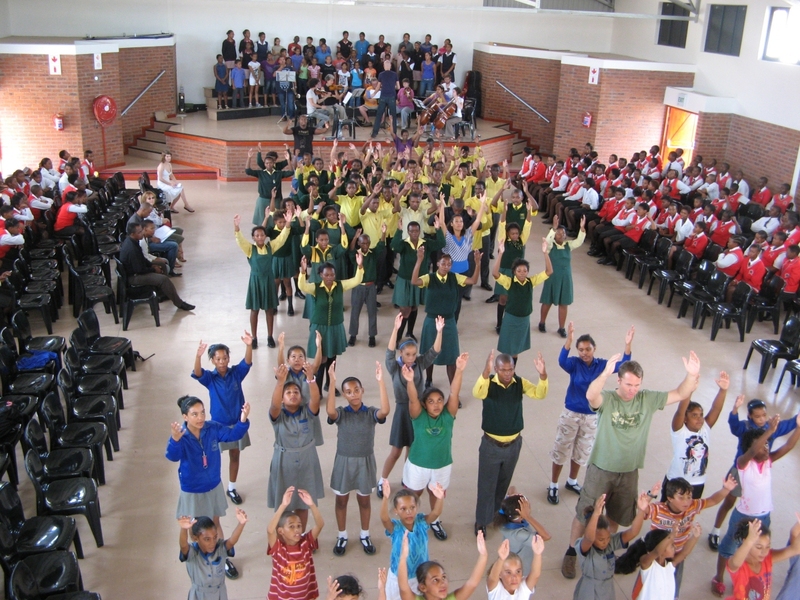 The end result was a presentation of Purcell’s King Arthur involving a cast of literally hundreds of children in support of an all-South-African roster of soloists. The original plan was quite modest, with no intention to emulate Cecil B. DeMille’s ethos on extras, but the team made a huge effort to integrate anyone who was interested and committed, and did so by way of “flash-mob choirs.” (Saying this was my suggestion is no plea for laurels, but an admission of guilt and apology.) The result was a hugely complex, sophisticated undertaking involving the training and coaching of an enormous body of highly energetic and highly excitable individuals, while still attempting to maintain a baroque music topos. Yet it worked. It was Purcell, but it was also music from the community, for the community. The children were drawn from outlying townships, and the performances eschewed gilded auditoria in favour of school gyms or township centres. That said, the musical bar was still set very high, and the artistic team (including Robert Lehmeier, director and Gerben Grooten, conductor) aspired to the highest standards of presentation. Beyond epic baroque opera (no contradiction in terms in South Africa), Cape Festival had a secondary, supporting agenda: building knowledge and internal capacity in South Africa for el Sistema initiatives. That’s why I was there, at Shirley’s very kind invitation: to moderate a national meeting of like-minded programs and interested individuals in Darling, and to present a talk one week later at Cape Town University. I started the Darling moderation/facilitation by deliberately posing a very poorly-worded question that didn’t include either the word “music” or “Venezuela”, and the dialogue continued for 2 full hours. What impressed me about the gathering was that when bereft of preconceived notions or pre-existing frameworks, the people in attendance independently generated much of the thinking that went into the Venezuelan example. It confirmed my belief that the internal capacity and intelligence exists for Sistema anywhere – it’s just the will that proves the most problematic. Thanks to Shirley’s efforts and Cape Festival as a whole, the ground-work was laid for larger degree of regional collaboration, as an absolutely necessary precursor to a genuine national movement. South Africa’s population is twice that of Venezuela, and there’s already a tremendous amount of musical activity, primarily around song. If the needs of the children could be prioritized over politics and territoriality and a truly national collaboration established, it would be a tremendous, monumental accomplishment. 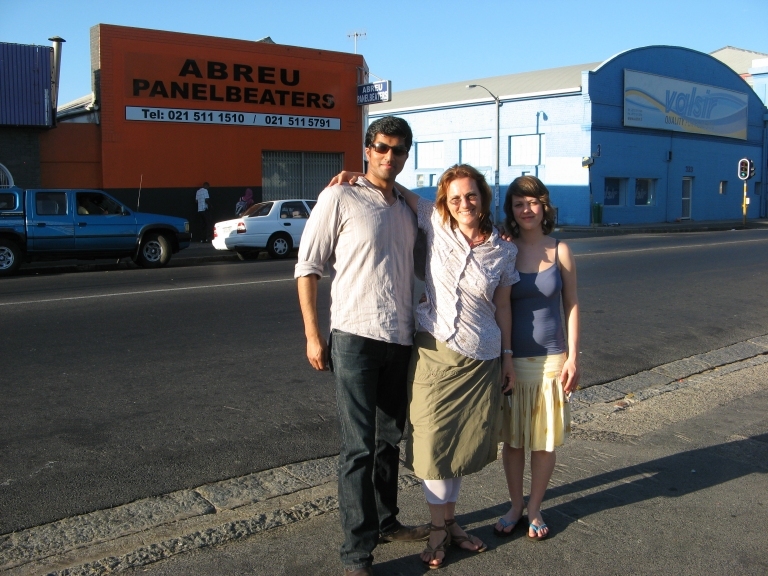 Maestro need not fear competition, however: the evidence of his inspirational role is immortalized in a photograph of a Canadian, South African and German standing in front of a mechanic’s garage in suburban Cape Town.